In THIS post I mentioned a list of prompts that I was following to get my creative mojo working. First was unicorns and next is cups & drinks. 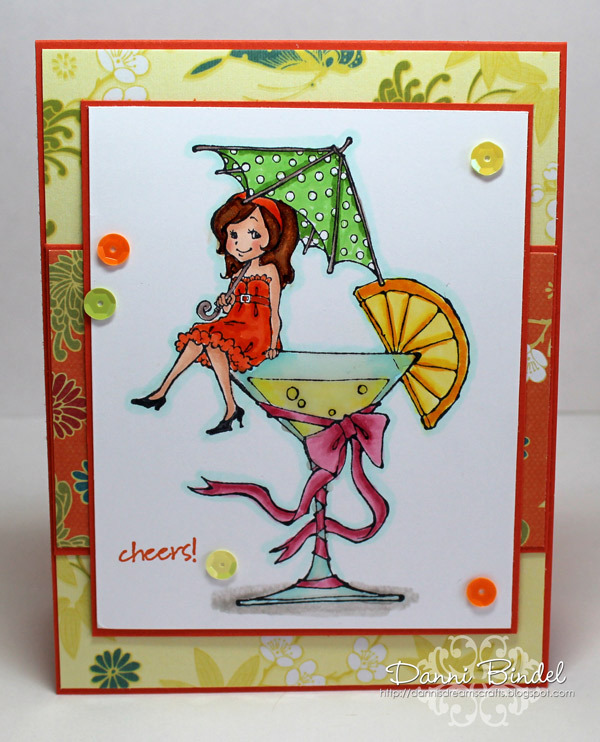 I looked through my stamps and found this fun stamp that I've had forever from Sparkle Creations Rubber Stamps (sadly no longer in business) called Cocktail Emily. I thought now was the perfect time to ink her up! I am finding that I'm constantly going back to this layout but it just works for these larger images. I'm just happy to be back to creating, even if it is a slow process for now.